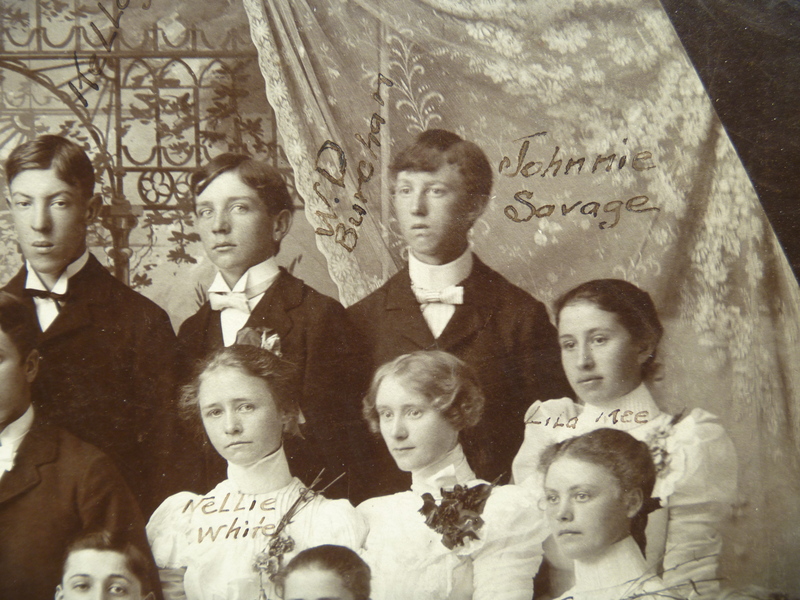 Detail from a Salem High School Graduation Photo (either 1899 or 1898). Willamette Heritage Center. Elgin Collection. 2011.008.0036. From left to right: Top row: Loren Waln, W.D. Burchan, Johnnie Savage. 2nd Row: Nellie White, unknown, (top) Lila Mee, (bottom) Grace Van Wagner.